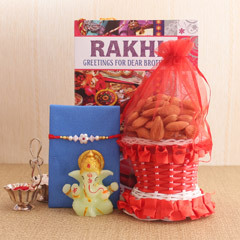 On auspicious day of Raksha Bandhan 2018, you need not to send a lot in conveying your affectionate feelings of care and love to dearest brother. 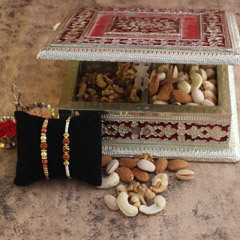 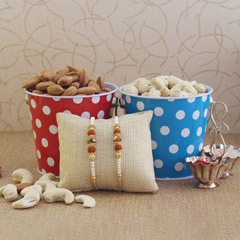 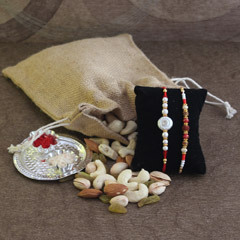 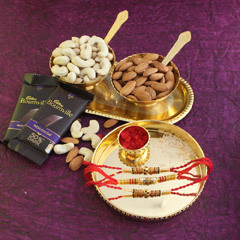 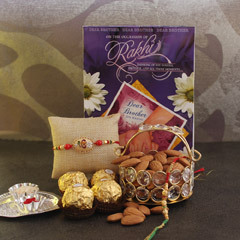 All that you need is to place order for this fabulous Rakhi with Dry fruits combo and surprise your dearest brother with it. 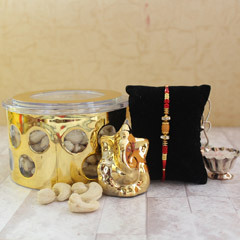 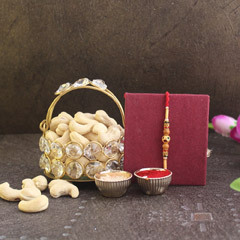 He will definitely love the Rakhi with box of cashews to relish and will definitely admire your ideal of gifting Lord Ganesha idol that will make him feel blessed.